In the large melon family, cantaloupe is probably the most fragrant and sweet. It owes its name to the fact that in 1700, it was cultivated in the gardens of a papal residence in Cantalupo, a village near Rome. In fact, it was first served at the papal table, where it was cut into two halves, each filled with Port wine. Very refreshing and tasty, this melon can be served both as a starter with slices of prosciutto (as in Italy) or feta cheese (as in Greece), and in a sorbet, granita or fruit salad. ‘Real’ cantaloupes (Cucumis melo cantalupensis) have marked ridges on the skin, whereas what Americans call by this name are actually muskmelons. 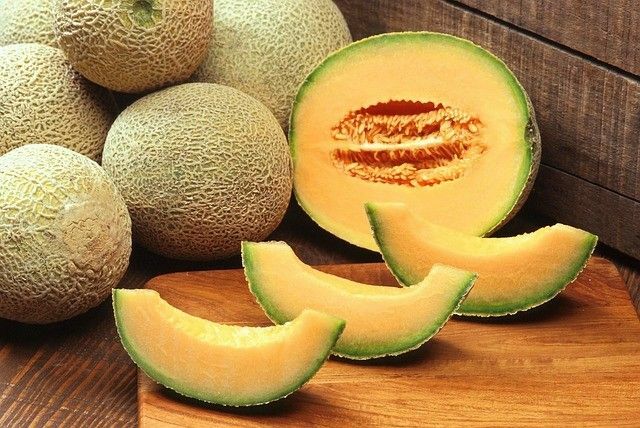 The most popular variety of cantaloupe is the Charentais melon. It should be noted that the Japanese variety, “Yubari King”, is the most expensive melon in the world and it is sold for around $4,000 a kilo! Originally published in the Journal de Montréal on August 17, 2013.